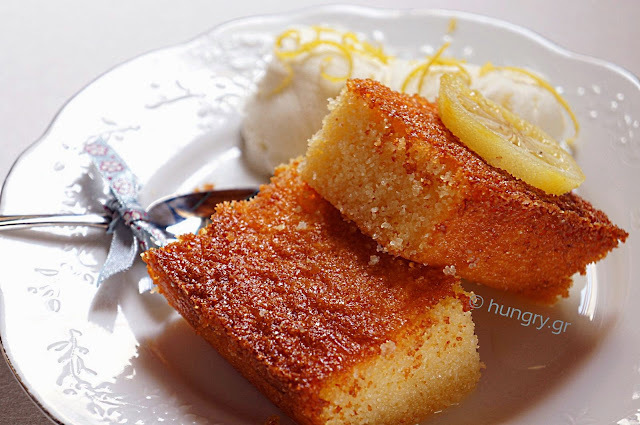 The Semolina and Yogurt Cake is a dessert with dominant component the pure sheep's yoghurt, the one with the crust on top, which gives it a distinctive flavor. 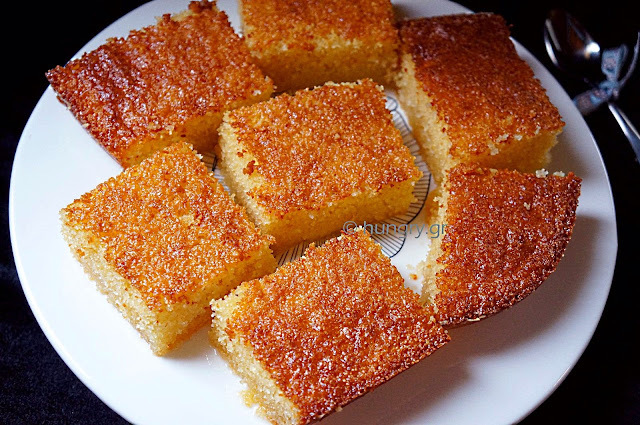 The coarse semolina, used for the preparation of, makes it fluffy and gives it a grainy texture. 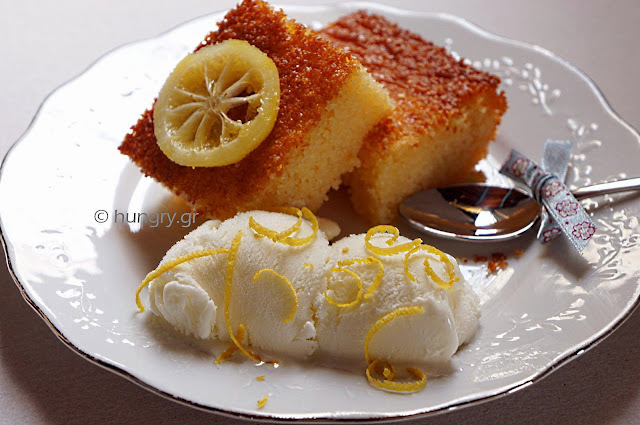 The ingredients are what remind us similar desserts like Ravani or Samali. 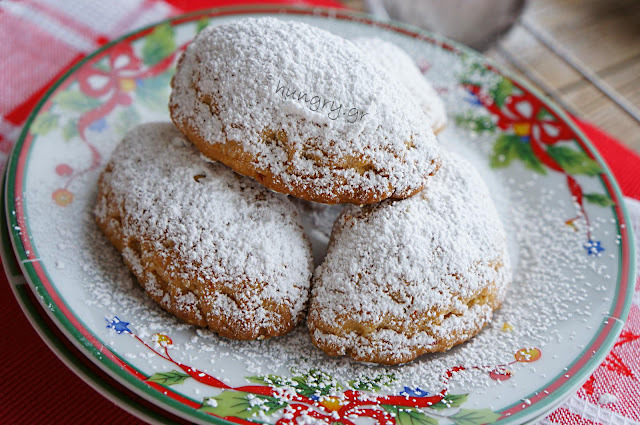 It is tasty and aromatic with a light syrupy texture without being flooded in the syrup. You can combine it with ice cream. 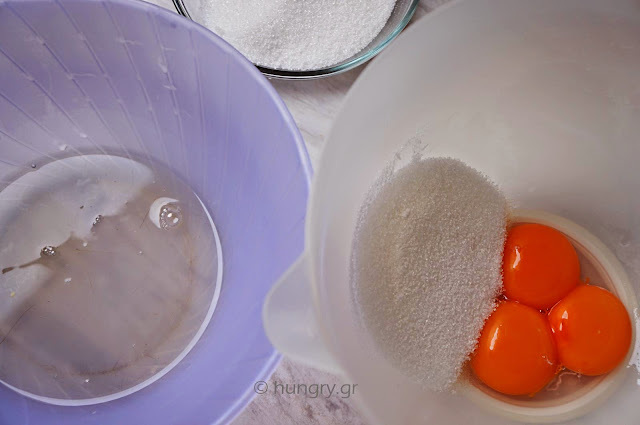 Separate the yolks from the whites and put them in two separate medium bowls. 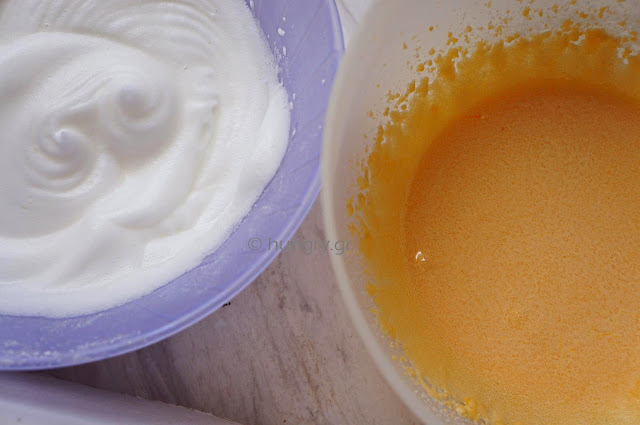 In the bowl with the yolks, add sugar and beat vigorously. 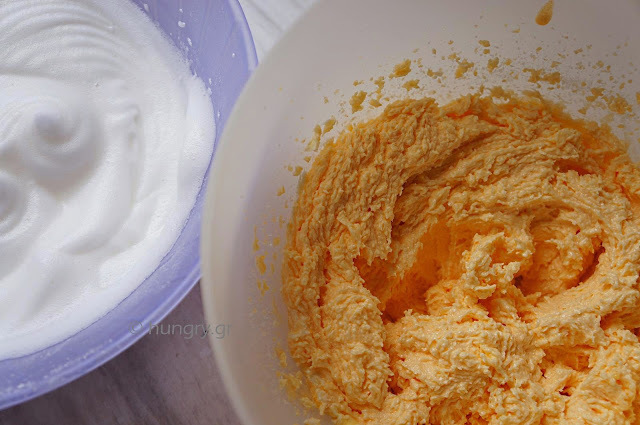 In an electric mixer, beat the egg whites to a stiff meringue and set aside for later. 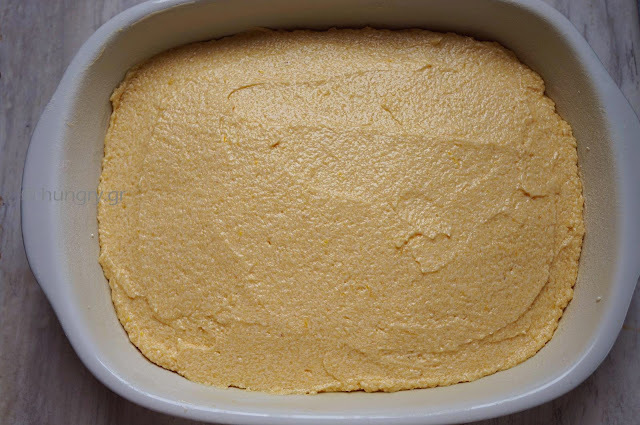 In the yolk mixture, add the softened butter and beat well for 4'-5' to pale and swollen. 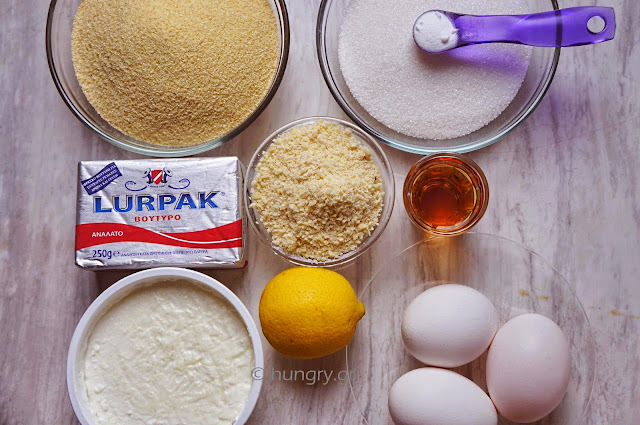 Add the yogurt, grated almonds, the baking powder, zest of lemon and semolina. Mix to incorporate. 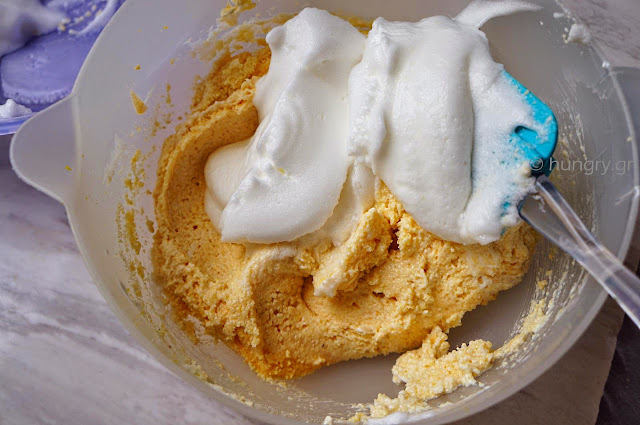 With a spatula incorporate in small doses the meringue, stirring gently from top to bottom without violent movements. 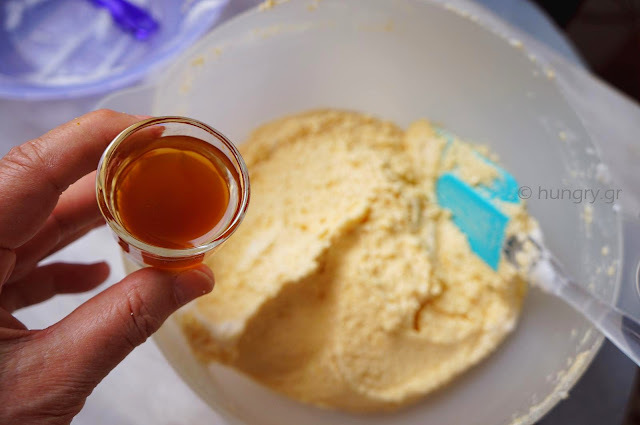 Finally dissolve the baking soda into the brandy and add to the mixture. Mix gently. Pour it into well greased and floured oven pan dimensions ~24×30cm (9.4×11.8in). Spread the surface with a spatula. Bake in preheated oven at 170°C (338°F, Gas:3.5) in air for 40'-45' until cooked and golden brown. 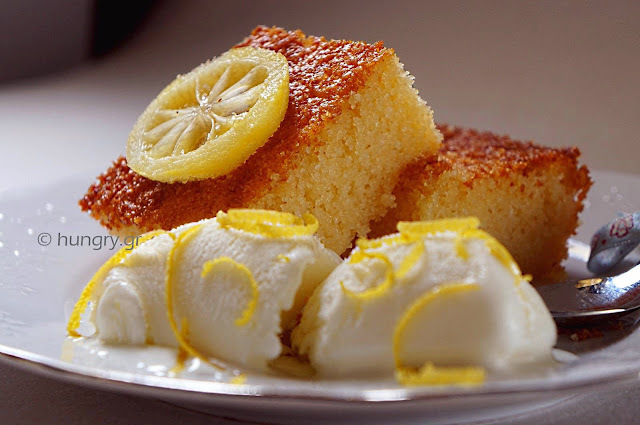 While the Semolina and Yogurt Cake is baked prepare a light syrup. Boil all the ingredients together for 5'-6'. Leave aside to cool. 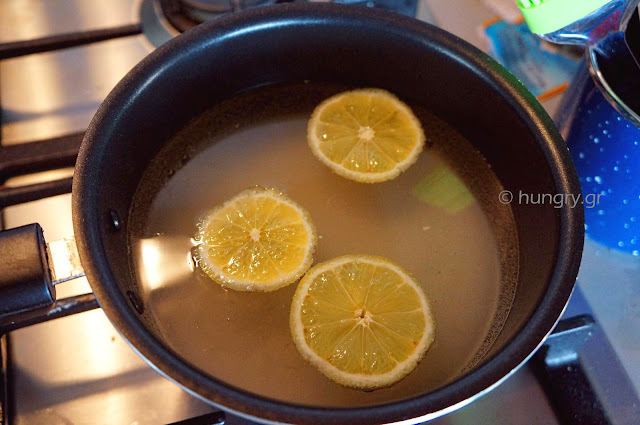 … and splash it all over with warm syrup. 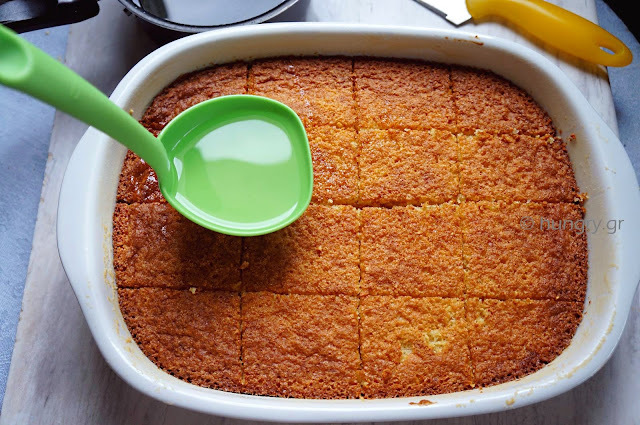 Allow to stand for a while to absorb it, and serve with ice cream. 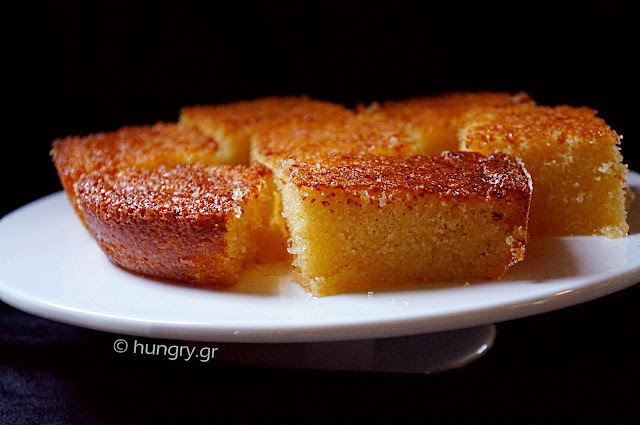 Traditional dessert of Greek cuisine, with roots from Constantinople, and basic ingredients the yoghurt and semolina. 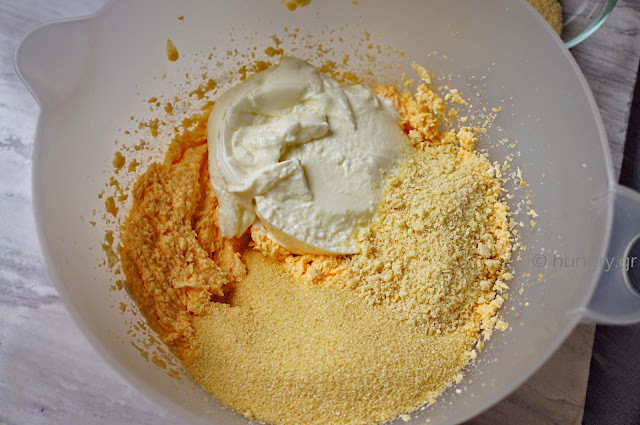 You make it without mixer, just mix the ingredients with a spoon! 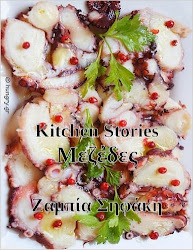 It used to be one of the desserts that were sold by street vendors outside schools, in summer cinema or at various festivals. 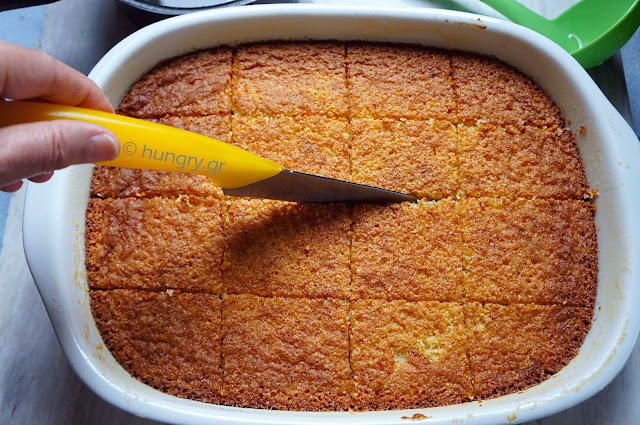 Easy, delicious and simple, without the burden of too much fat. 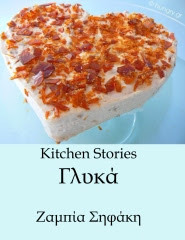 Ravani is a delicious classic dessert of Greek cuisine. 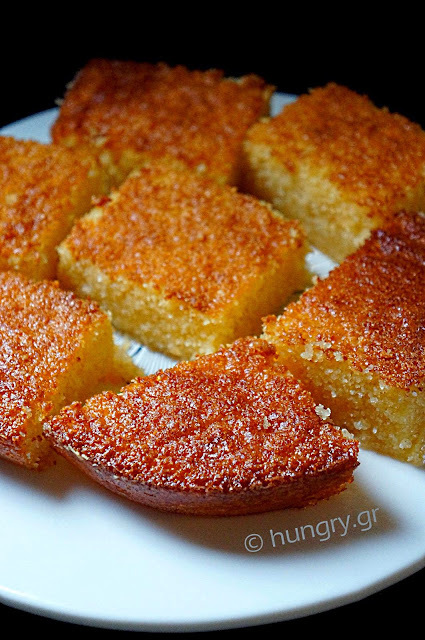 Essentially it is a syrupy cake and by adding the almond it is made delicious and unique. 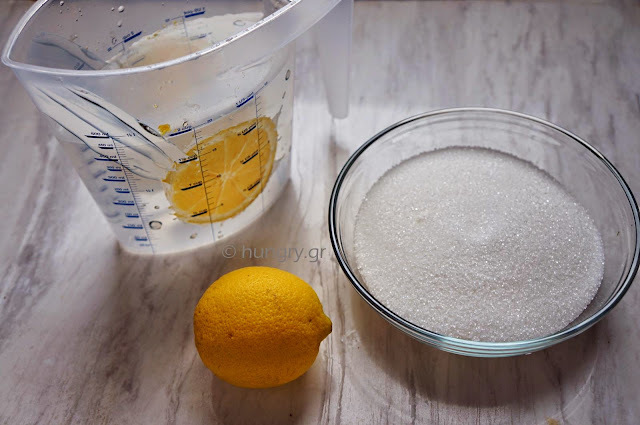 The syrup is light, and makes it as sweet as it should be, flavored with lemon, which gives it a touch of citrus freshness and flavor.